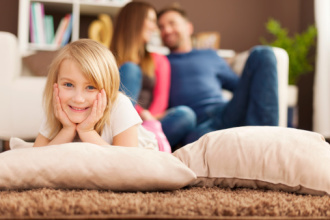 The safety and comfort for your family is top priority for A & B Plumbing Heating and Cooling, that’s why we have all our staff drug tested and background checked before hiring. 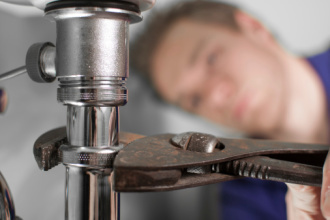 We know your home cannot function properly without plumbing, heating and cooling. Whether you have an emergency repair or a routine maintenance check our technicians can help. 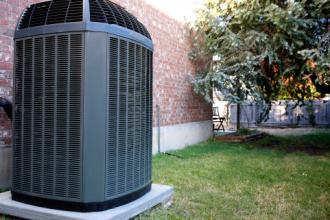 For a complete heating and cooling installation job within the Bay City and surrounding areas, call our team of professionals at A & B Plumbing Heating and Cooling. We believe in delivering great customer service all the while treating you with respect, kindness and professionalism. Call and ask us about how our free consultation service works. Often times we don’t think about servicing our air conditioning unit until it’s hotter than blazes outside and we’re left without cool air inside. Being exposed to extreme temperatures for long periods of time can cause health issues for some individuals, especially older adults and small babies. If you have one of our technicians out for preventative maintenance before the hot weather hits, you will rest comfortably when the heat does decide to visit. 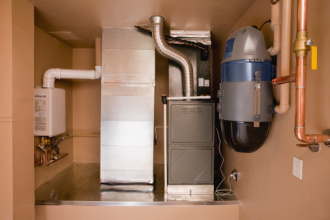 Our trained professionals have all the diagnostic equipment and know-how to determine whether your heating system is operating the way it should or if you need any repairs. We do recommend having your heater serviced at least once a year regardless of whether it needs it or not. No plumbing job is too little or too much for our technicians to handle. If you’re not sure whether we work on the type of problem you’re having, call and ask. Below are just a few of the recurring problems we work on: Dishwasher Leaks & Clogs Sink Leaks & Clogs Running Toilets Burst Pipes Sewer/Drain Pipe Problems Bathtub Clogs And MORE! Are you experiencing leaking faucets, clogged drains, bursting pipes or another severe plumbing problem? If so, call A & B Plumbing Heating and Cooling to have one of our certified technicians out to take a look. Our technicians will provide you with an estimated quote, schedule your appointment (if it’s not an emergency call), and complete your repair or installation. Have you ever gone to turn up the thermostat and realized either your heater doesn’t turn on or your blower is only blowing cool air? 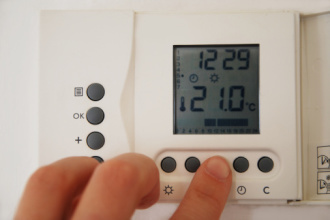 Most of us take our heating system for granted until something happens and we are left in the cold. With the constant changes of temperatures in Michigan, you don’t want to take chances with your heater possibly not working properly. A & B Plumbing Heating and Cooling has been in business since 1985 and is run by a dynamic team of professionals who are trained, knowledgeable and experienced in plumbing, heating and cooling. We attribute our success to our customers first and foremost, followed by our honest and dependable services. Whether you have a regular maintenance service call or an emergency, we are ready to tackle whatever issue comes our way.